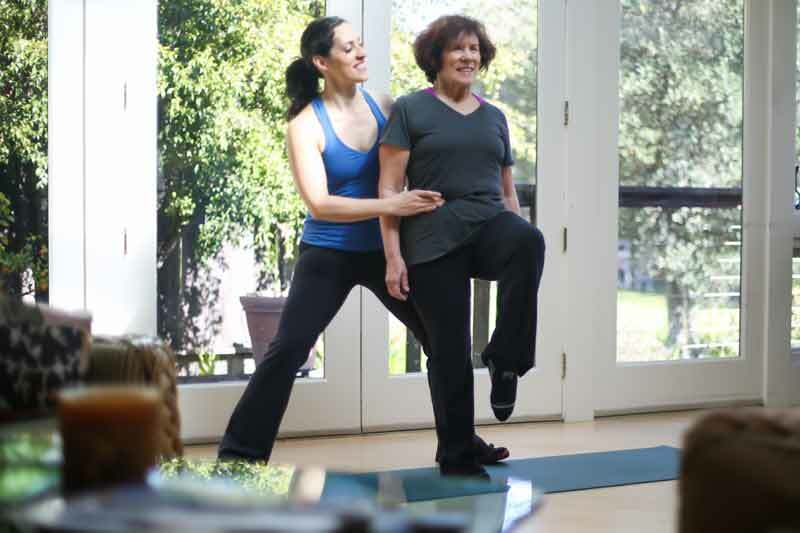 In-home Pilates for busy moms, pregnant women, menopausal women, and men too! Hot Mama Pilates gets new moms, pregnant women and menopausal women feeling good in their bodies. We focus on Pilates exercises to reduce back pain, create flat abs, improve muscle tone, improve body posture, increase flexibility, strengthen core, and reduce stress – the things a woman’s body needs most. Because we know your time is precious we provide in-home sessions for San Francisco based women. Nap time is now Hot Mama Pilates time. Find out more about Hot Mama Pilates, who we are, what we do and how we help can help you feel better in your body. Contact us with any questions or to book an appointment! Cara is an awesome Pilates instructor. She helped me work on my breathing and strengthening my core post-baby. Loved my privates with Cara and encourage anyone, especially post-baby mamas, to check her out! I highly recommend Cara. She’s been my Pilates instructor for the last 8 months and is amazing. I started working with her for problems with my lower back and general flexibility issues and continue to work with her because I feel significantly better afterwards. Cara created a tailored approach, along with detailed instructions for homework, that has resulted in dramatic improvement. She took the the time to understand my problems and assess my body and is always cheerful, energetic and positive. A+.